Time until Angel's Feather release day! 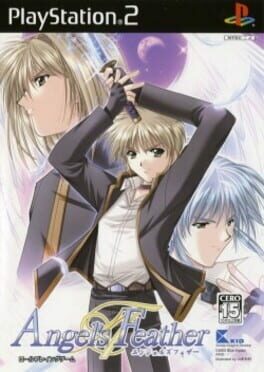 Angel's Feather is a Japanese boys' love visual novel game created by BlueImpact, which was originally released on April 25, 2003 for PC, and later ported to the PlayStation 2 by HuneX as Angel's Feather: Kuro no Zanei. In 2006, it was adapted into an OVA, which was animated by Studio Venet. The game's character designer is Yamamoto Kazue. In 2007, Media Blasters licensed the anime for Region 1 release.